The DL-44 Heavy Blaster Pistol has been a cult classic for the past forty years as Han Solo's prized possession in Star Wars. This movie magic prop gun is a Mauser C96 dressed up with a muzzle device, bits and pieces of greeblies, and a side-mounted scope. The Mauser C96 is a real steal weapon produced between 1896 until 1937. 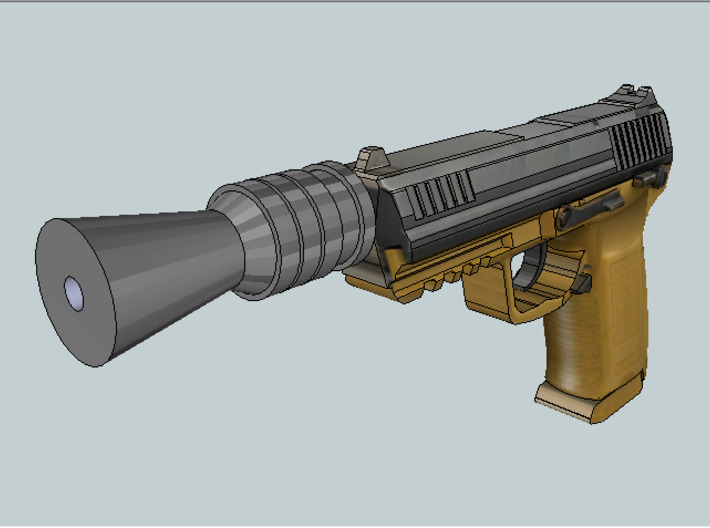 Today, we are going to take a look at how the DL-44 muzzle from BlasTech Industries will look on more modern firearms. DL-44 prop used in the movies. 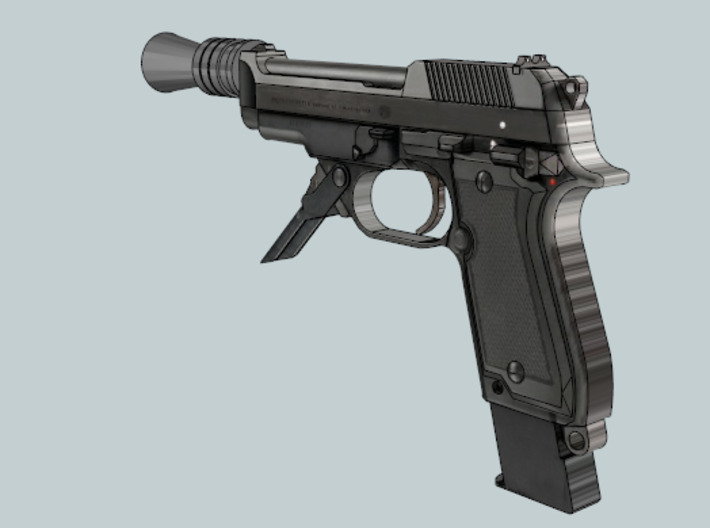 DL-44 muzzle on the .45ACP pistol. 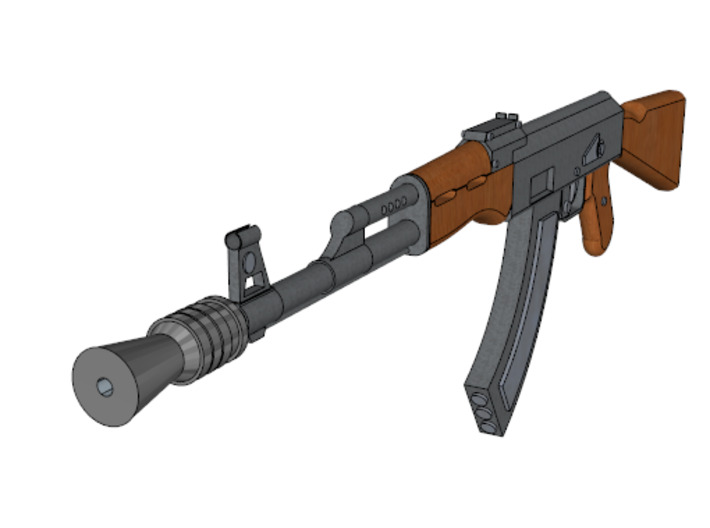 DL-44 muzzle on the AK-47 assault rifle. 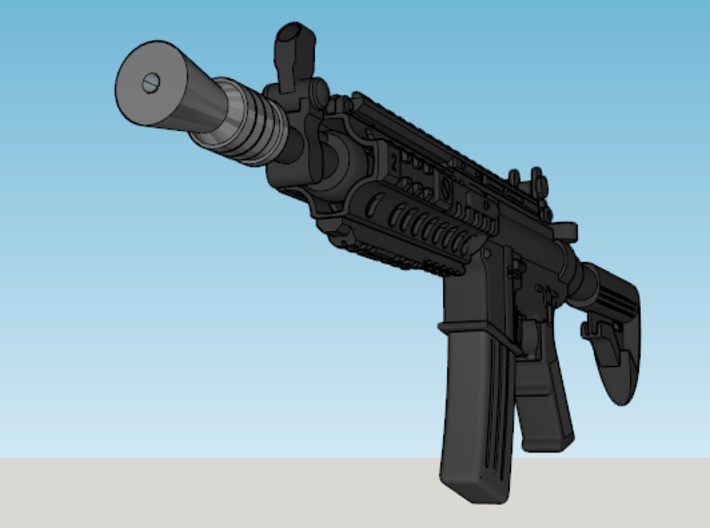 DL-44 muzzle on M4 carbine. DL-44 muzzle on M93R machine pistol. 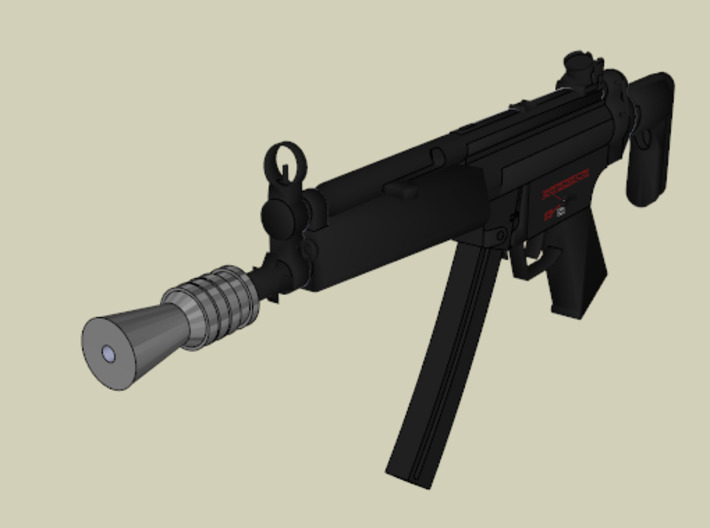 DL-44 muzzle on MP5 submachine gun.